Fingal Bay is part of the Pt Stephens area & only a short drive to Shoal Bay & Nelson Bay. It is a 2 1/2 hour drive north from Sydney and a short drive drive from Newcastle. 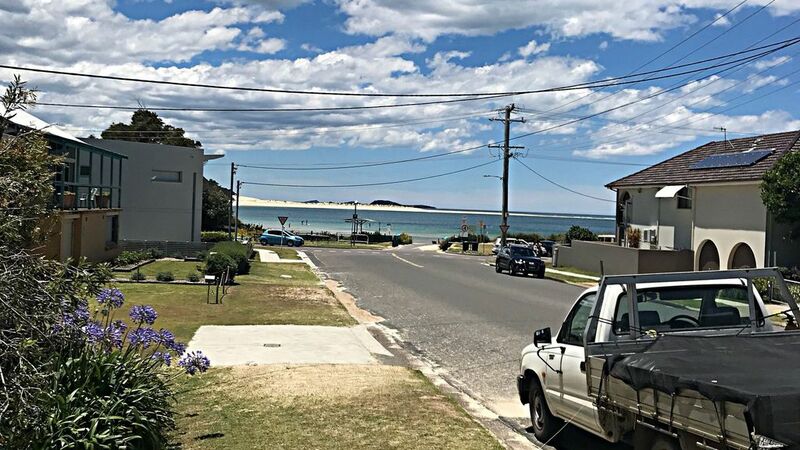 Superbly located the townhouse is just 50m from the beautiful, protected & patrolled Fingal Bay beach and across the road from Fingal Bay shops. You will never be bored holidaying here! Here's just a few ideas of what you can do!!! You will need to come & holiday again as this list is endless and you will fall in love with this wonderful part of the world!! We loved staying at the townhouse. It was a short walk to the beach, across the road from the shop and cafe. It felt spacious for our family, and we felt at home. Our only complaint was the 9am checkout. We would stay here again when we come back to Fingal Bay. Clean in a great location. A little worn but affordable. Thank you for a lovely, clean home in a delightful location. We loved the water glimpses from the living room and the closeness to the beach. We would certainly consider staying again. Lovely place to stay, very close to beach. Shops across the road. Quiet area for a comfortable holiday or short break. Will definetly book again when we are in need of another short break. Thanks Sheree, so happy you enjoyed your holiday ! It would be a pleasure to have you to book again. House catered for our needs. Great area upstairs. Location was really good, close to cafe & bakery. Our family enjoyed a great stay in the villa. We had a great time visiting the beach, cooking on areal BBQ and enjoying the space this villa offered. It was a home away from home.